Cortech Developments has strengthened its Business Development team further with the appointment of Jason Keye. 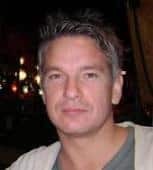 Jason has joined from the Techno Group, having previously spent 15 years in the security industry. Jason has acquired a significant level of market knowledge and contacts in a wide range of vertical sectors which will be a major asset to Cortech. As a Business Development Manager for the South of England he will be responsible for creating new relationships with consultants, integrators and end users, while managing a host of key accounts. Jason will also be undertaking a challenge of a completely different kind next year. He will be taking part in a Charity fundraiser for Marie Curie Cancer Care which involves a 150km, 5 day trek around the Grand Canyon!